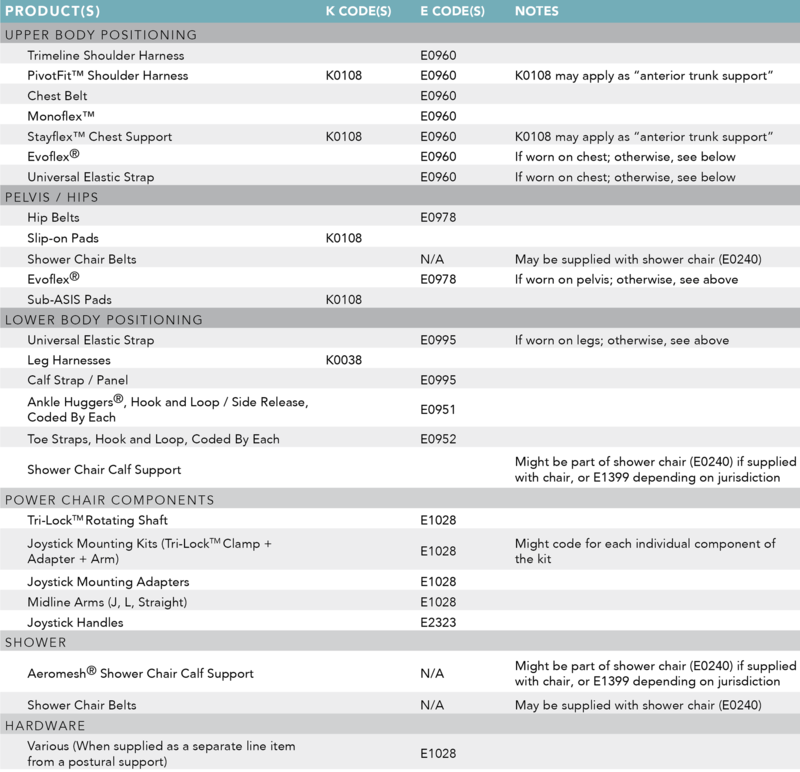 Coding puts the “complex” in "complex rehabilitation"
Below are some codes relating to Bodypoint products when billed within the US. As always, reimbursement cannot be guaranteed and specifiers are encouraged to make use of internal or third-party billing professionals when filing any claims. For CMS updates, visit the Noridian site.